Fear is the main force in our way. Fear has a way of disguising itself as stories or experiences that block us. It can look so justified and so real that we never see it for what it is. We see it as an excuse, an alibi, and a reason why we can’t do this or we can’t do that. The key is to constantly test it, to question it, to stay objective with an open mind and get curious within ourselves. When that closing is nearing on the deal You have worked on, or that meeting is about to come to its perfect conclusion and a doubt, a question, or some blocking emotion arises that seems real and starts taking You off course, question it thoroughly. When You do this You will rise above this, You will undress this story and see that it is unwarranted fear, and then you can stay focused on Your target. The next time Fear pops up, get curious and keep questioning it with an open mind and watch your arrow hit the bulls eye of the target You are after. 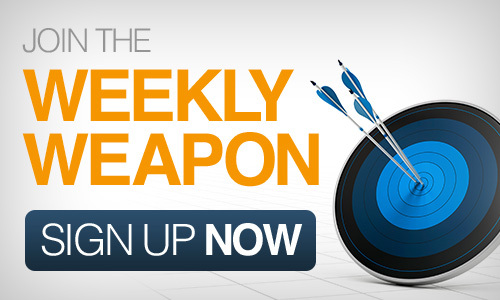 This entry was posted in Your Weekly Weapon With David Farbman on January 24, 2014 by David.